We take the security of your possessions very seriously. All of our storage units provide top-notch security while still offering you convenient, easy access to your storage unit. 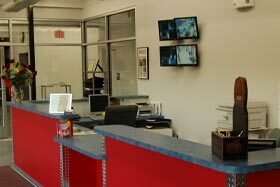 Our facilities are under 24-hour video surveillance for your protection and peace-of-mind. Our climate-controlled storage facilities are protected by our state-of-the-art chip access system. Our conventional facilities are surrounded by secure fencing and protected by a keypad access system. A large generator ensures uninterrupted service in case of a power failure, a very important yet often overlooked feature. If you have a problem, emergency personnel are available by the phone located in the elevator. If you would like any more information, please call or stop in. We’d be happy to give you a tour of our facilities  we’re very proud of them. Undecided about the size you need? Sometimes seeing the different sizes available can help you with your decision.